Hi.Time for something a little different this month. Working Your Way Up To 10,000 Steps A Day! Many of us have sort of heard about this idea somewhere along the way. Let's look at it a bit more closely. Let's put this in perspective because at first blush 10,000 steps sounds like a LOT of steps, right? In everyday terms though that's about 5 miles, or about 1.5 hours of walking for the average walker. Now most of us walk less than that in one go and probably take more time doing it. So like any large goal, the best way we suggest to approach it is to do it in small increments, adding a little more distance and time each day. You can do that, right? Remember too that you probably take a lot of steps around your house, doing your chores, just moving from room to room, climbing stairs and so on. Even when you take a bath or shower you take some steps for that too. So when you add in all those 'non-walking' steps you take during the day, it really doesn't take long to hit the 10,000 steps a day mark. Here's a fun, energetic web site you can check out to keep your imagination going. Their 200,000+ members have logged over 112 Billion Steps! 10,000 steps will be child's play compared to that! Invite your friends and family to join you as you all work towards keeping strong, healthy and happy. While you're at it, you can also check out some of our different Walking Styles to add variety to your program. And of course one little device that can help you 'keep track' of your steps is a pedometer. They come in many shapes, forms, and prices from the type you wear, to Apps for your iPhone, iPad and other mobile devices. As our reader Mickey wrote to tell us he found his pedometer a GREAT motivator to help him lose over 70 pounds. Mickey is over 60. Great story Mickey! Here are just a couple of our suggestions for pedometers to help you get your motivational mojo on. 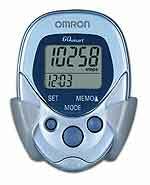 The Omron HJ-112 Digital Pocket Pedometer is consistently one of the highest rated pedometers by users, averaging a very respectable 80%+ satisfaction rate on Amazon, Consumer Research, About and others. It's very reasonably priced and can be worn or carried. 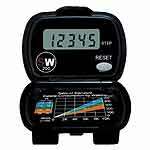 The Fit Solutions SW-200 Yamax Digiwalker Pedometer is another pedometer with very high user satisfaction result. It is considered to be the most accurate pedometer on the market and used as the standard to measure others against. The main limitation is the plastic clip that holds it to your belt that sometimes can break. The All-In Pedometer App by Viaden is one very complete and highly regarded package that does everything you can imagine and more. The downside is that you need an iPhone, iPod or Ipad to use it! If you can overcome that little handicap this jewel can be purchased at the Apple App Store for $1.99! We're very pleased and excited to announce that now our readers can buy THORLO Padded Socks online directly from their factory in North Carolina. Visit our brand new THORLOs Padded Socks page for much more about these incredible socks and the people that make them. It's really an amazing story. Take advantage of their 'Buy 3 Pair, Get 1 Pair FREE' offer good to Dec 31, 2012. Add to that their 30 day unconditional, money back guarantee and Free Shipping. Your feet will thank you! We love our Thorlos Padded Socks and have worn and sold them for years. There are none better. We have our next order in! This video TED talk by author William Ury focuses on walking from 'NO' to 'YES' to heal conflict. A very inspirational and uplifting message. Why not share your thoughts with us after you've had a look. This Thanksgiving, a group of walkers in our neighbourhood are planning a meaningful day by taking a nature walk in the countryside. On our walk we plan to share stories about what we are so thankful for. Perhaps if you haven't planned anything particular yet for Thanksgiving day, you might want to consider doing your own nature walk with someone close to you? We would love to have you share your stories in our next newsletter. 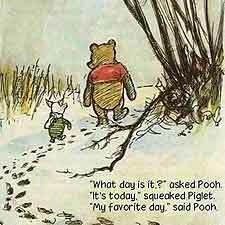 Do send us some photos from your day too and we'll do the same. OK? Our special thanks go out to you all as you celebrate Thanksgiving.